After three-straight victories and taking the lead in the NFC East, things are looking up for the Dallas Cowboys. Credit goes to a lot of different people, but none should get more than Head Coach Jason Garrett. Three NFL weeks ago, the Cowboys came out of their bye week and fell flat against the Tennessee Titans on Monday Night Football. The drop to 3-5 felt insurmountable given their ongoing offensive woes, especially coming off a loss to the division-leading Washington Redskins. We've seen this scenario go a different way so many times. A coach who's been in place for several years and a team that isn't performing; so often we see the players "tune out" and stop playing with effort or discipline. Garrett's Cowboys have never been a team that didn't try their best. Even at their worst, the team plays hard. That is often lost in the miscues, mistakes, and mismatches that have led to losses along the way. You can't say that Jason doesn't have his guys motivated to win. Ultimately, that's what being the head coach is all about. Scott Linehan, Rod Marinelli, and Kris Richard are in charge of calling the plays and preparing the game day strategies. 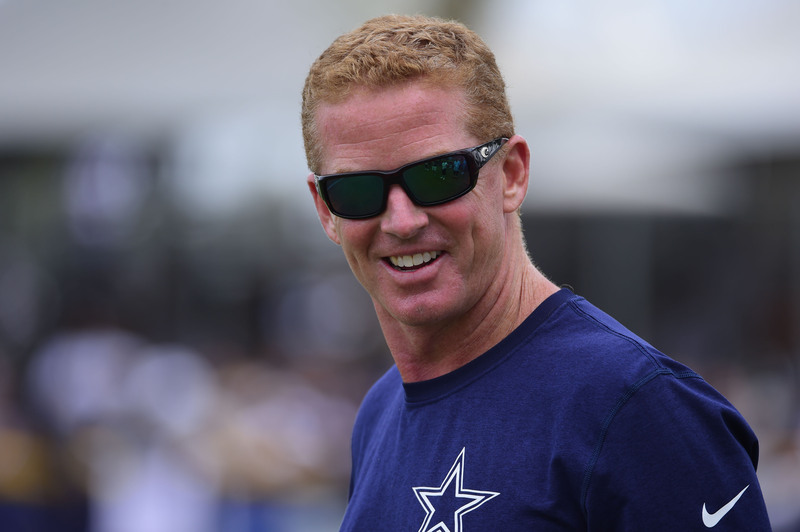 But the team's overall mood and mentality, that's Jason Garrett's job. That's why Garrett is constantly clapping, because it promotes a consistency of positive spirit and atmosphere. Nobody out there wants to fail and the average person doesn't respond to being berated. The days of treating your football team like a military unit are over; modern players don't tick that way. Jason was an NFL player until 2004. As a 38-year-old backup quarterback, he got to sit on the other side of the locker room and see the personality shift as players from the next generation came in. These weren't the same kind of guys he played with in the early 90s. Now it's another 14 years later, and the kids on Garrett's current roster are even further down the road of societal change. After final cuts in 2018, the Cowboys had the third-youngest team in the NFL. You can imagine how many times those players saw articles and ESPN segments about their head coach potentially being fired. And after those two ugly losses to Washington and Tennessee, even we were starting to believe that Jerry Jones might finally give up on Garrett. 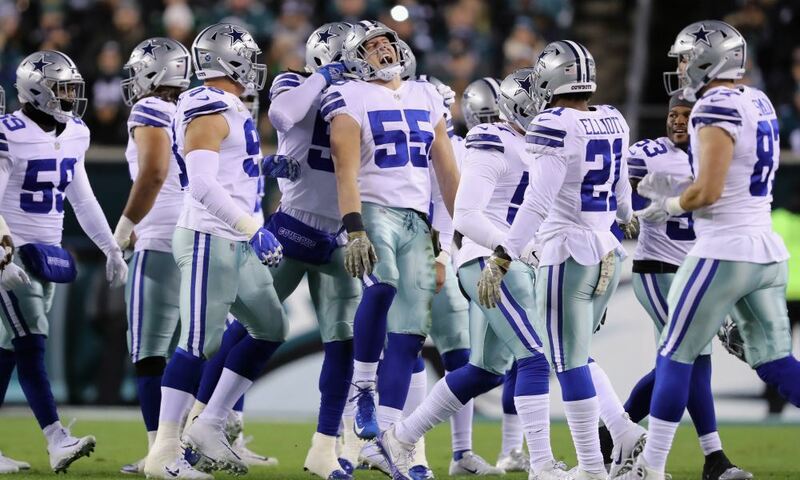 But in Week 10, on the road in Philadelphia, the Dallas Cowboys didn't surrender. With two teams playing to preserve their season, it was Jason Garrett's team who outlasted the defending Super Bowl Champions. A week later, on the road again, the Cowboys faced another do-or-die situation against the Falcons. Both teams were 4-5 and trying to stay alive, and Garrett's guys persevered in a slugfest. Things were feeling up, but Cowboys Nation wasn't ready to believe just yet. Many thought yesterday's game would be the big letdown; all that talk about saving the season going out the window with an ugly disappointment against the Redskins. But the Dallas Cowboys didn't let you down yesterday. They put their foot on the neck of a division rival and took control of their own playoff destiny. Credit Rod Marinelli and Kris Richard for coaching up one of the league's best defenses in spite of youth. 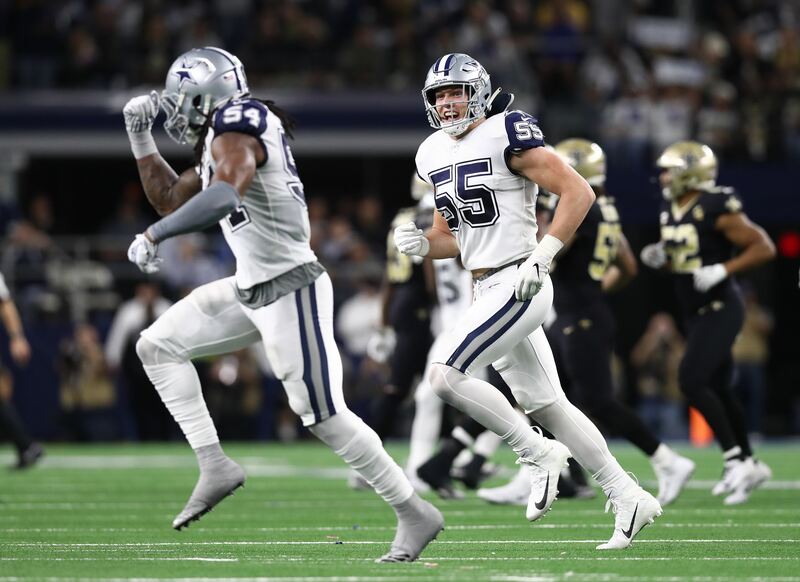 Watching rookie Leighton Vander Esch shine out there is as much about his own natural ability as it is a testament to the men preparing him for games, which includes injured veteran Sean Lee. Credit Scott Linehan for improving as the season goes along. He still makes you shake your head at times, but he seems to have finally found the right mix with this offense. Featuring Ezekiel Elliott heavily works? Hey, what a surprise! Speaking of, credit Zeke for taking a leadership role on offense. More of a comedian than spokesman in 2016 and stifled by his suspension in 2017, Elliott has stepped up majorly in the locker room this year. It's nice when one of your biggest personalities is a guy who can back it up consistently on the field. Credit whoever was responsible for dumping Paul Alexander as Offensive Line Coach and promoting Marc Colombo. It's not easy to admit a mistake, especially just seven weeks into the year, but Alexander's style clearly wasn't working and the change has yielded clearly positive results quickly. Credit Dak Prescott for not letting criticism and failure get the better of him. 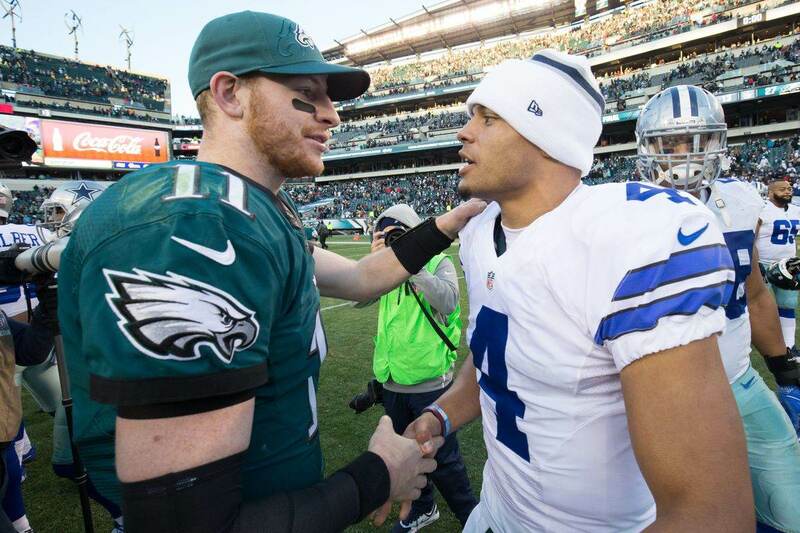 From the legitimate and objective complaints to the lingering animosity of Tony Romo truthers, Dak is up against it in one of the toughest jobs in professional sports. But the Cowboys QB has been getting better by the week. Credit the Joneses for going out and making the big move to help their offense by trading for Amari Cooper. So far, that decision is reaping big rewards. But in the end, all of that is a product of what Jason Garrett has been building in Dallas since 2010. Players want to give their best for him, even when things aren't looking pretty. The front office wants to keep making moves to support him, even if it costs them a future first-round pick. That's how you get a three-game win streak in November, with two road games and two division rivals in the mix, after a 3-5 start. Say what you want about Garrett's mastery of time clocks and challenge flags, but he's a natural leader. He knows how to set the mood for his group and also how to reach individuals. He's a master motivator. We can argue all day about what the key merits of an NFL head coach are. You might still want that "in your face" guy, and that's fine. But just make sure your basing that on the modern era of football, and not your memories of Jimmy Johnson. Jason Garrett has pulled one of the NFL's youngest, least experienced teams from the brink of disaster and put them in the driver seat of their division. That's a head coach you can believe in, much like Jerry Jones clearly does. If it all goes to crap from here then, of course, we can revisit this topic. I'm not claiming the guy is perfect, and I was pretty close to jumping off the wagon earlier this year. But these last three games have reminded me why I've stood by Garrett throughout his tenure. I believe in his overall message and handling of players, and I think it lays the right foundation for a winning team. Hopefully, by the end of this year, that faith will be even more rewarded.